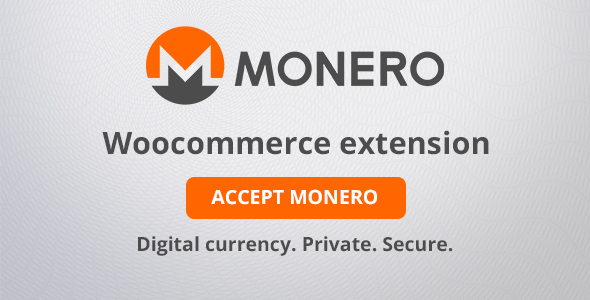 Monero Payment Gateway for WooCommerce is a full-fledged payment gateway for WooCommerce that makes it easier for you to accept monero payments on your store. This will give your customers the opportunity to send you Monero as payment for their orders. Using this plugin is ridiculous easy, there’s no need to master Monero for you to start receiving Monero in your WooCommerce store. All you need is to know how to activate a WordPress plugin and a wallet rpc server! In the background, this plugin will make all the work of ensuring incoming payments are well received. Moreover, it generates a configurable QR Code on the checkout page and even in the e-mail notification to allow any QR code reader to show your Monero address and amount to pay to your customers!